As an alternative to requesting a ban or account deletion, posters that wish to curtail their access to the forums might like to consider setting up a 'block' on SAUK if they connect to the Internet via a router. 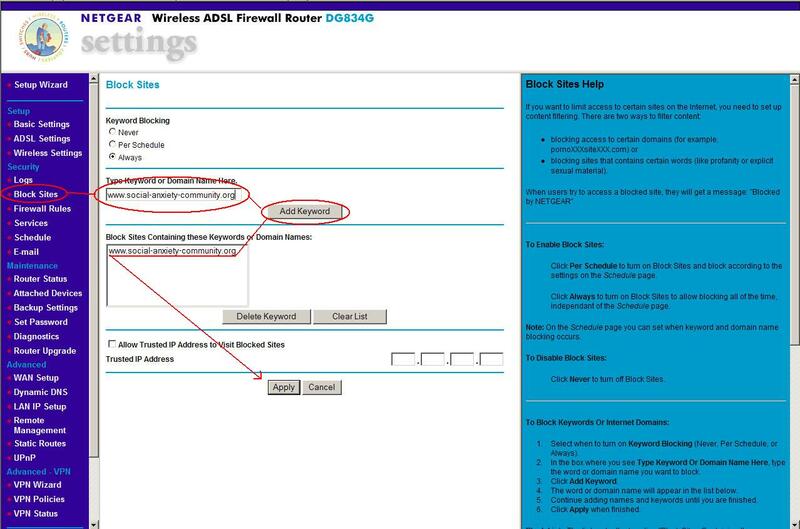 The picture in the example below is of the relevant section of the administration panel of a Netgear router, but it should be noted that although all different, most routers will have a similar facility. NB. Usually, to gain access to the settings of a router, you will need the administrator name and password.